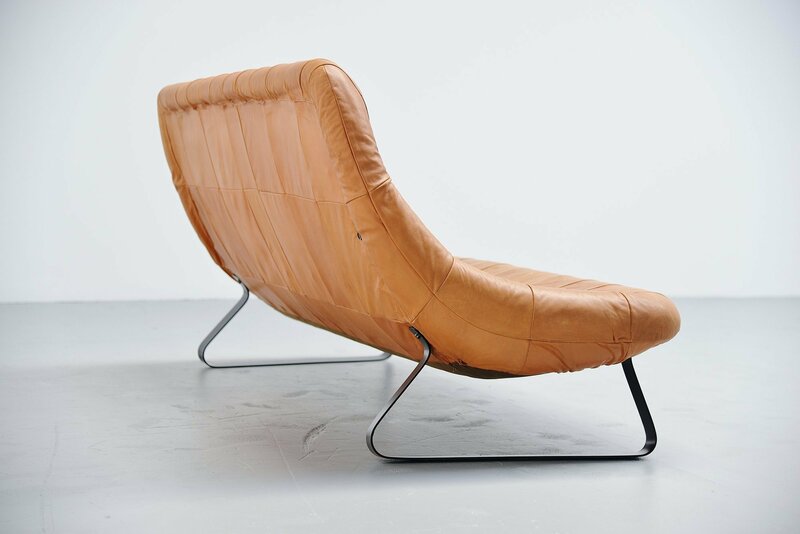 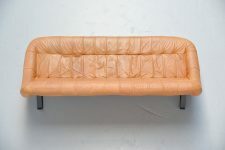 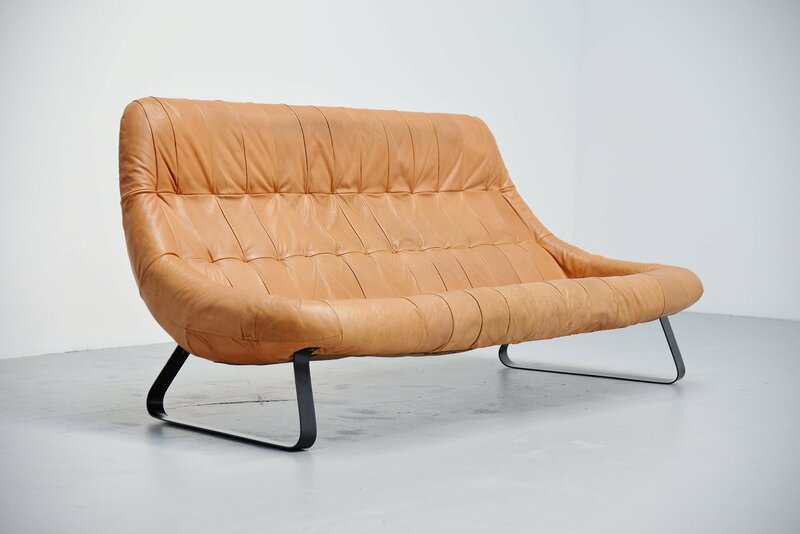 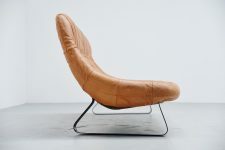 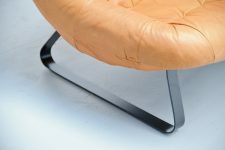 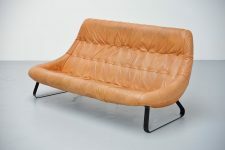 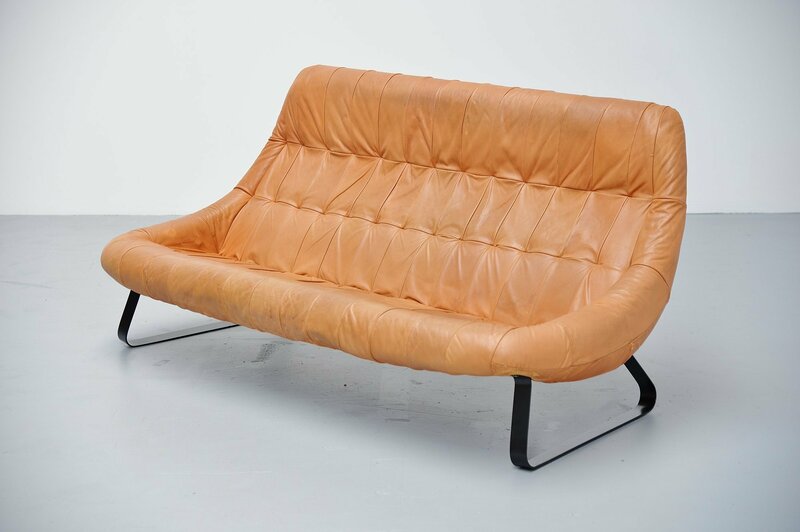 Very nice and rare so called ‘Earth’ lounge sofa designed and manufactured by Percival Lafer, Brazil 1970. 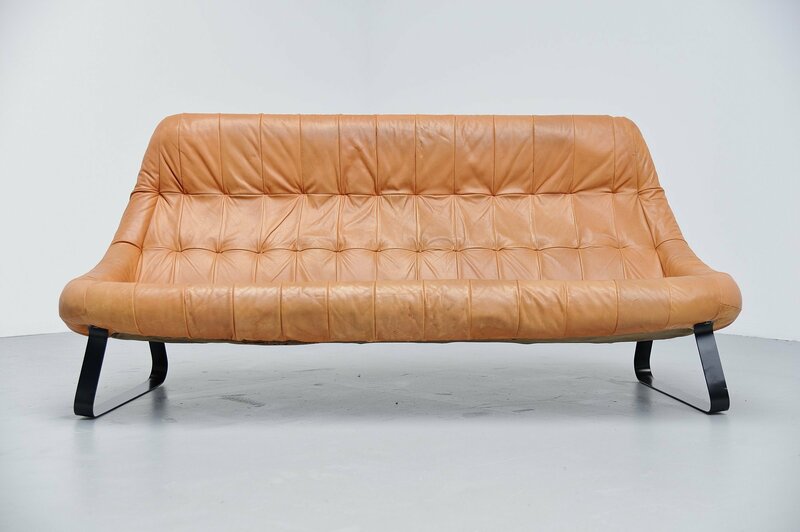 This sofa has black painted metal feet and very nice patinated natural leather upholstery. 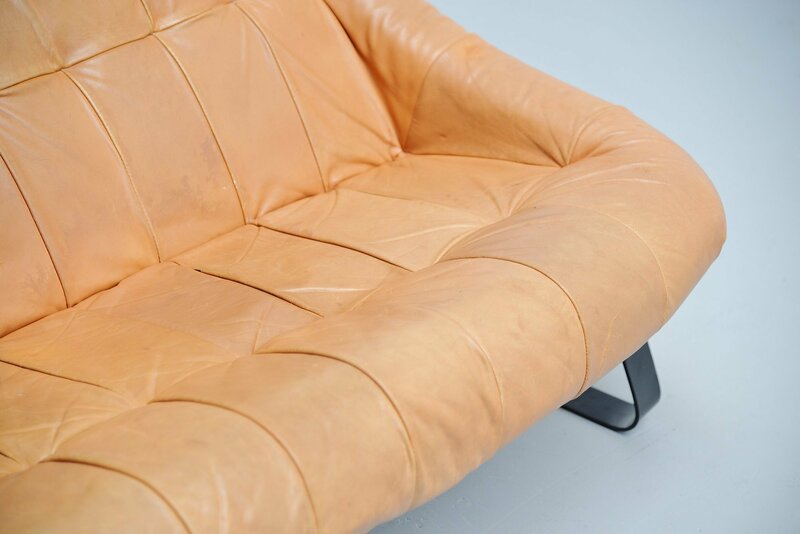 The sofa is marked with the Percival Lafer sticker underneath the seat. 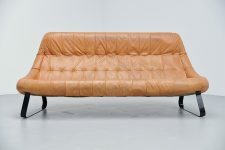 This sofa is very hard to find and it looks great too. 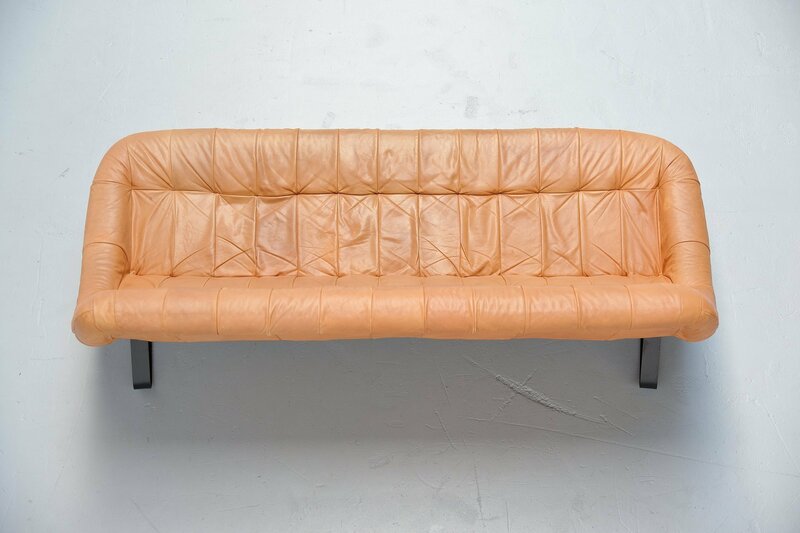 Comfortable lounge sofa in very nice original condition.